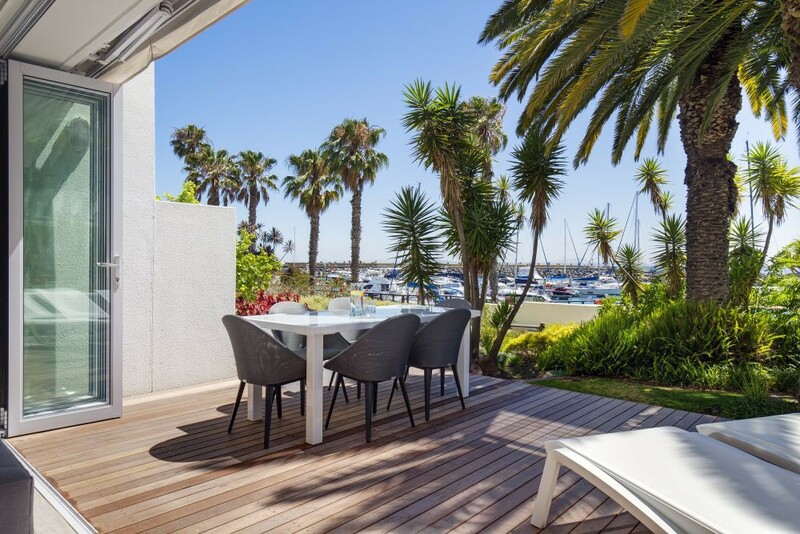 This ground floor luxury two bedroom apartment with its own yacht mooring a stone throw from its terrace is the jewel of our self-catering apartments. Biscay at The Water Club offers exclusivity on a par with the top marinas around the world. 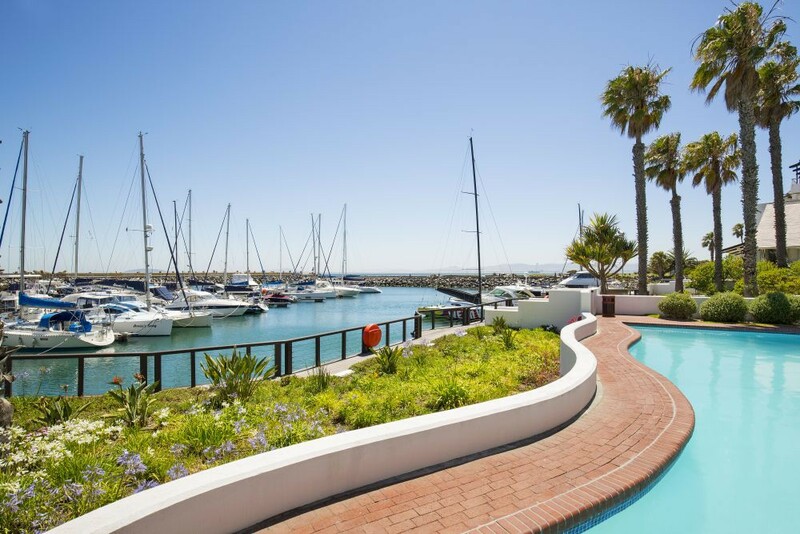 This Blue Flag Marina complex, which includes a yacht basin at the foot of the beautifully manicured garden, has direct access to the 5 star Radisson Blu Hotel and the famous V&A Waterfront. 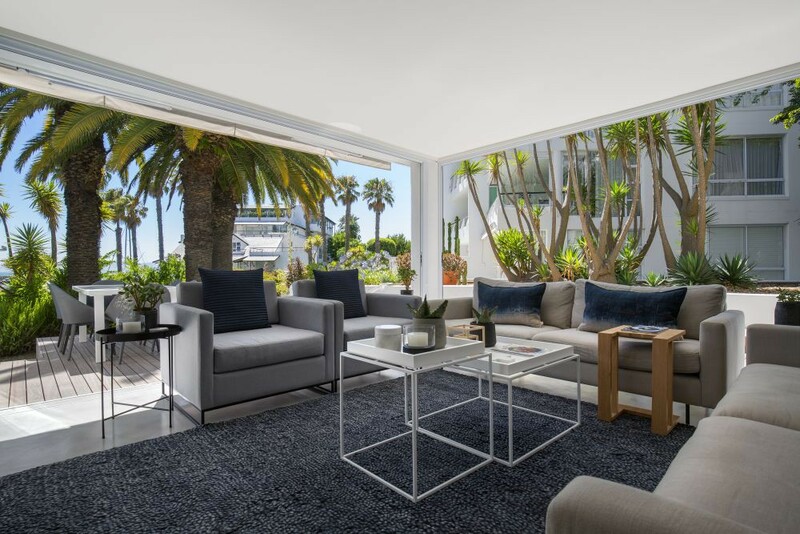 Close to the city centre, the Metropolitan Golf Course, promenades, beaches and the finest restaurants this is the ideal setting for the discerning guest who desires quality. 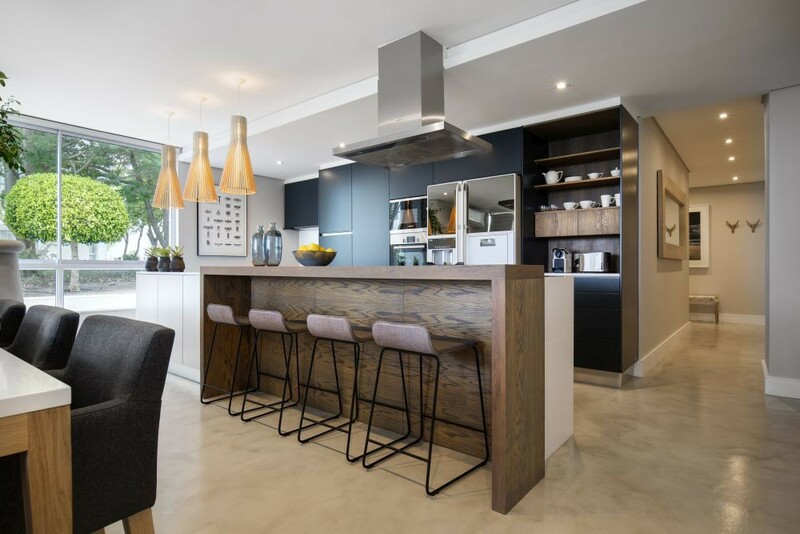 This newly renovated, two bedroom, ground floor apartment is perfect for that family holiday, or for friends who are looking forward to spending time together exploring our wonderful City! The main bedroom has a King-sized extra-length bed, and an open en-suite bathroom with large walk-in shower and separate bath and WC. 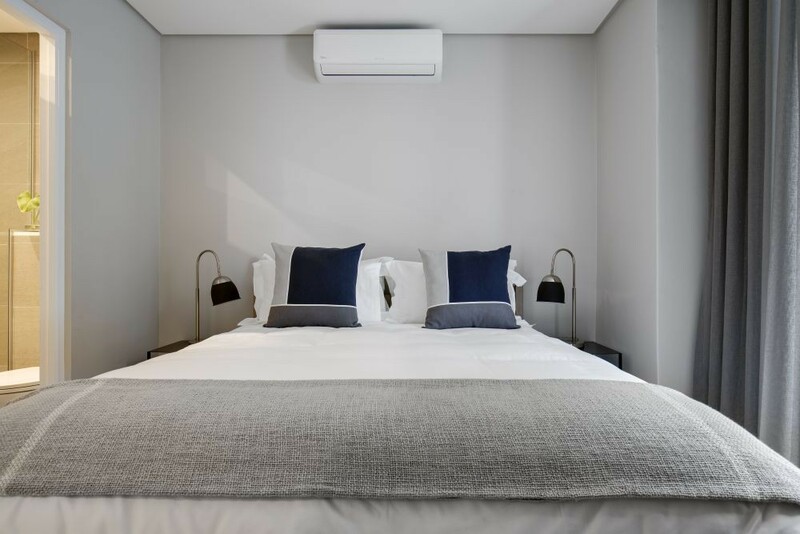 The bedroom also boasts a walk-in wardrobe, television, air conditioning, and a sliding door which gives you access to the walkway to the front balcony. 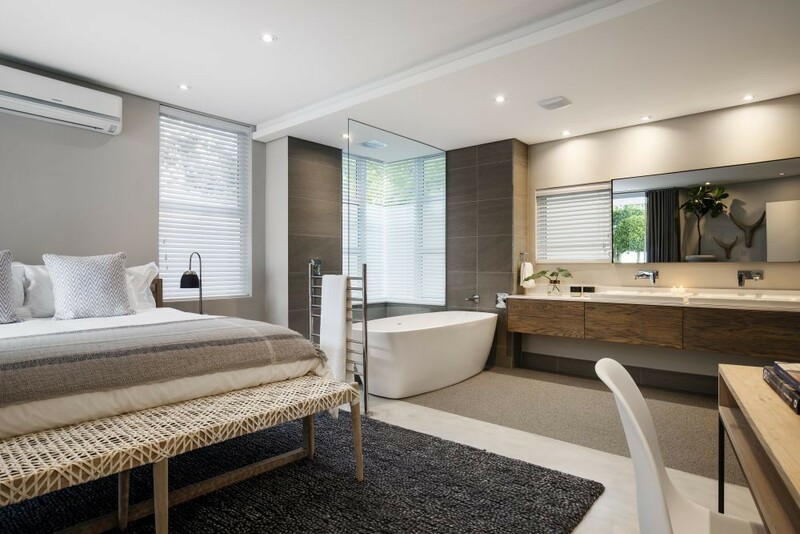 This is a truly luxurious bedroom! 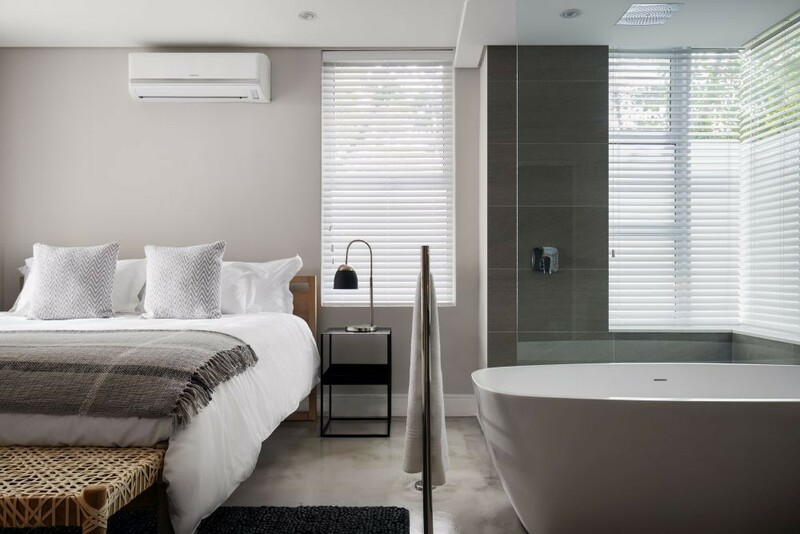 The second bedroom has been furnished with a Queen sized extra-length bed, and has a smaller en-suite bathroom with a walk in shower, WC and basin. This lovely bedroom has built in cupboards, a television, an air conditioner and access to the walkway through it’s own glass doors. The apartment also has a guest WC. The views from the kitchen, dining and lounge areas are spectacular! 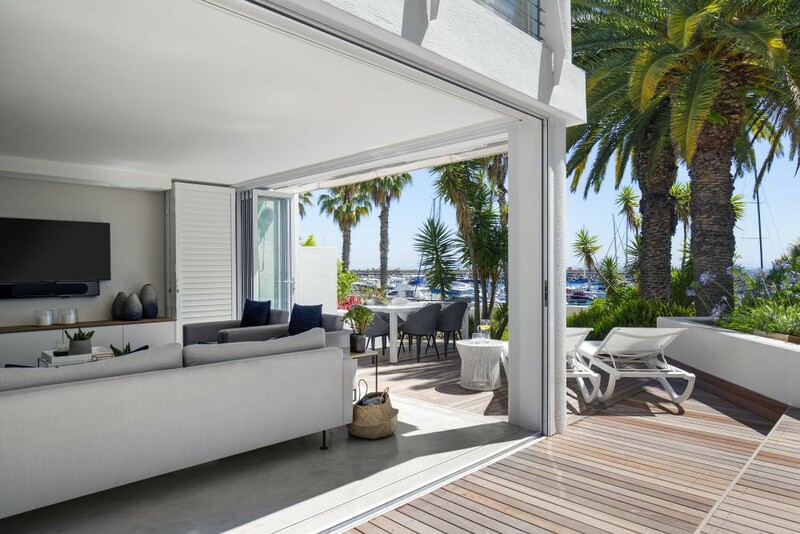 The lounge’s concertina doors open up onto the balcony where you have wonderful views of the Marina, the swimming pool, and the lovely gardens. You cannot second these views! The lounge sofa can be equipped with a mattress and extra bedding for a young child, if arranged with the Agent prior to arrival. Both of the bedrooms and the lounge have televisions and the apartment has the full DSTV satellite package. The lounge television has a BluRay DVD player and a docking pad. 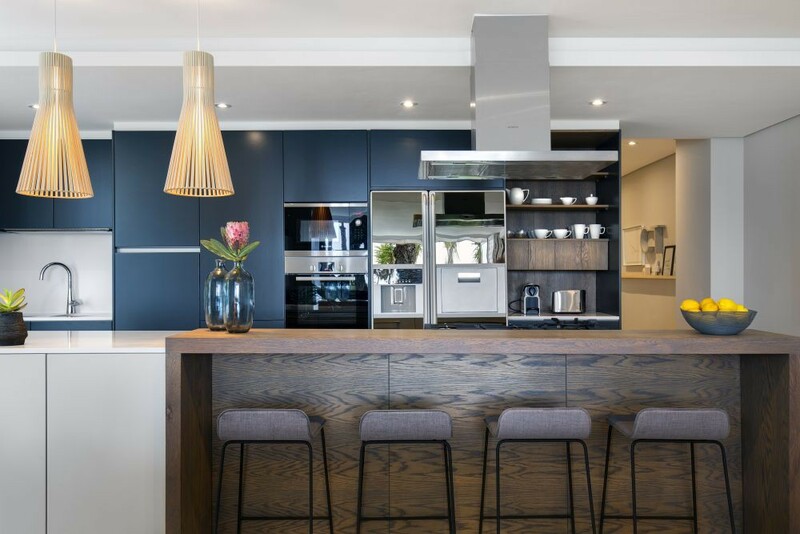 The kitchen is well equipped for self-catering with all the modern appliances including an integrated washer & dryer, dishwasher, and gas hob.